Ecommerce is on the rise in Myanmar. As the number of mobile users are increasing, so are the number of internet subscribers. This is because of the availability of 3G and LTE on smartphones, which is giving access to blazing fast internet to masses. This means that masses have access to internet, which companies can use to their advantage by promoting online shopping as well as getting direct feedback. This explains the rise of online marketplaces and the increased use of social media channels for customer engagement purposes. Whenever purchasing a mobile, it is important that you buy from a trustworthy marketplace which offers satisfactory customer support and prompt delivery of the product. Websites like myanmarblogshop, omyanmar, Kaymu and yangonbay have been around for a few years and have established a good reputation for online shopping for mobiles. Online marketplaces have a number of different sellers who sell the products at different prices. As a general rule, always opt for a seller who has strong repute and is well reviewed by hundreds of customers. This will ensure that your online shopping experience is enjoyable and safe. A lot of websites offer services like Cash On Delivery for the ease of customers. There are many others who don’t. Before buying online, always look at the payment methods and see if they are convenient or not. Credit card payments are a good option if the seller is trusted. 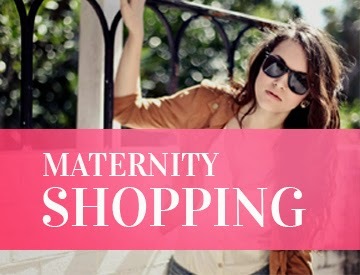 No shopping website will ask for your personal details like mother’s name, identification number etc. Always be wary of such websites. Authentic websites only require your name, mobile number, and shipping address. Therefore, don’t disclose personal information which is not relevant in online shopping. As the ecommerce industry is growing, the overall shopping experience is also getting better. In the earlier stages of the industry, the delivery time used to be really long. And by the time the product arrived at your doorstep, the price in the market for the phone had reduced. But nowadays, this is not the case. Delivery is swift and fast and takes up to 48 or 72 hours. While majority of websites offer quick delivery, there are many those who take weeks for the product to arrive. In this regards, always keep an eye out for the delivery time, which should be short. Mobiles come with company warranties. Therefore, take into consideration whether the website is offering you these services before purchasing. These were some of the online shopping tips for mobile phones.